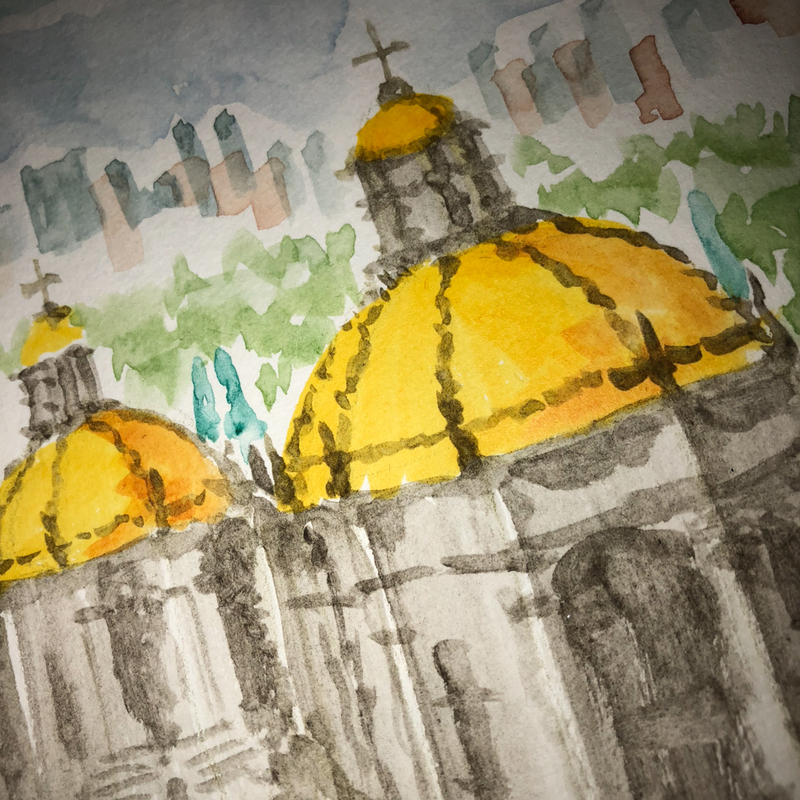 This month, we are painting the Basílica de Guadalupe in Mexico city, with images from Margaret Metcalfe (and a little help from Google maps). I am also trying, with resistance, the no line work first. I place a couple of watercolor pencil lines in for guidance. I find I end up liking a little bit, a piece of the whole, but never the whole! I rarely do that — they are like my kids, I am committed once I start! 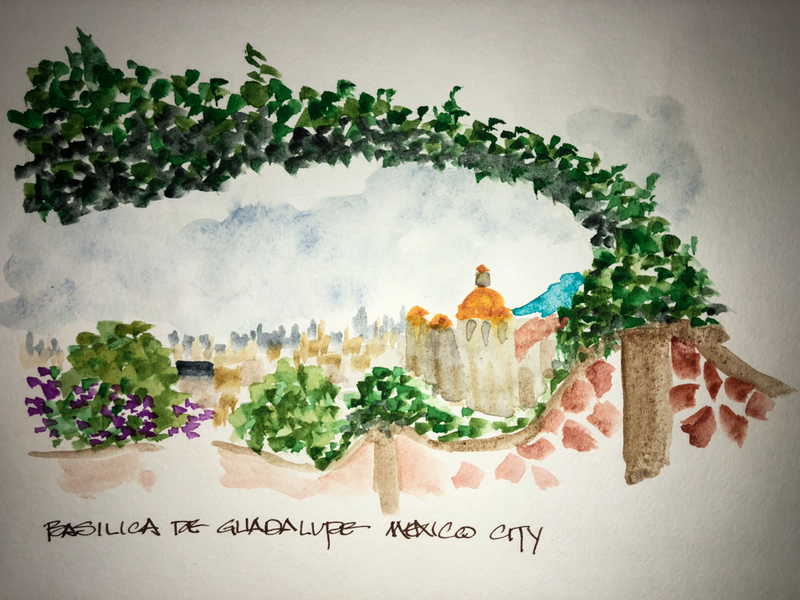 to our Virtual Sketchwalk group by Margaret Metcalfe. 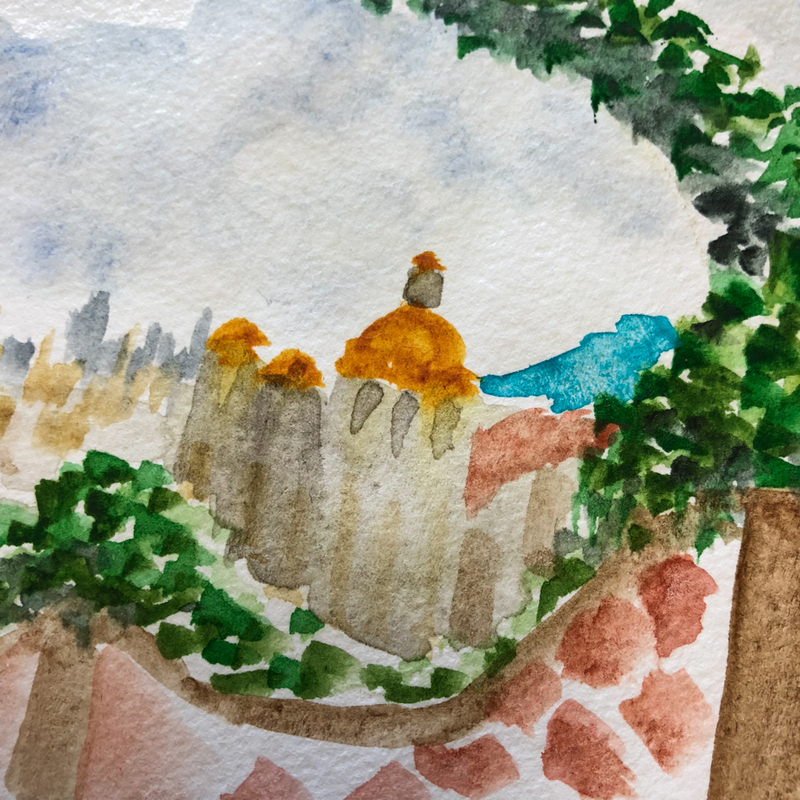 Da Vinci and Daniel Smith Primatek watercolors. 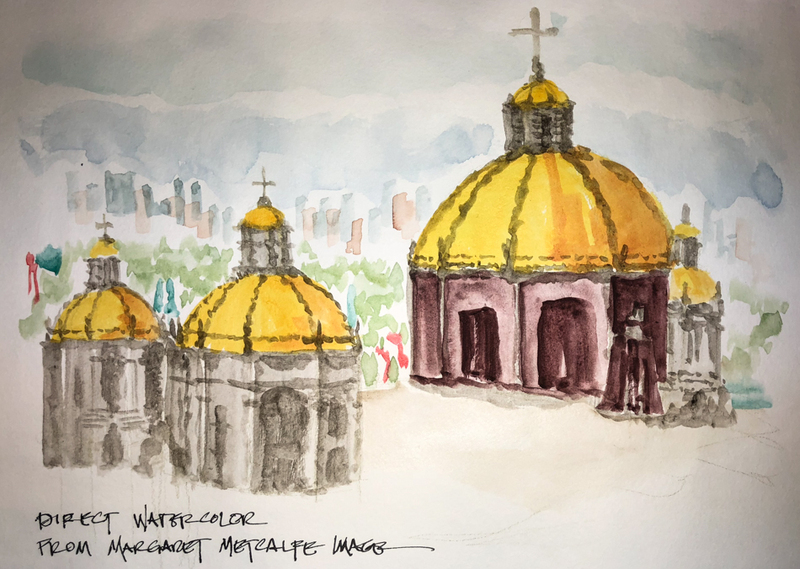 This entry was posted in architecture, art journal, challenge, color, landscape, painting, sketchbook, timed painting, virtual sketching, watercolor and tagged #30x30DirectWatercolor2018, #BasílicadeGuadalupe, #church, #danielsmithprimateks, #davinciwatercolors, #directwatercolor, #Hahnemühle, #HahnemühleWatercolourBook, #mexicanchurch, #mexicocity, #terracota, #virtualsketchwalk, architecture, art journal, Basílica de Guadalupe, Da Vinci Watercolors, Daniel Smith watercolors, De Atramentis Document ink, Mexico City, Primatek, virtual sketchwalk, watercolor. Bookmark the permalink. So glad you’re using the Hahnemühle Watercolor Book! And loving it. I’ve used the A5, but this is the first time into the A4.